This week, I am honored to have authored the featured article on the T. Colin Campbell Nutrition Studies. 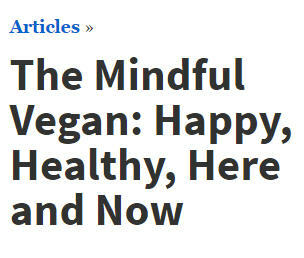 Titled The Mindful Vegan: Happy. Healthy. Here and Now, here is the opening of the article – and here is the link to read the entire piece. Not long ago, I sat down to a meal with a group of friends. Everyone at the table had before them a plate of healthy vegan food – generously provided by the robust buffet at the side of the room. Before I had a chance to take my first bite, one of the people at our table tore into their food in a frenzy – not unlike the ferocity of a lion at their first meal in a week. Shoveling mouthful after mouthful in – well before the previous bite had barely cleared the entrance – I was blindsided by the intensity of this display. I could tell by the glances of others at the table that my reaction was not unique. Click here to read the rest of this article here on the T. Colin Campbell Nutrition Studies site – and I look forward to see you share thoughts and comments! Boy does this strike close to the bone. Reading the article opened up a sense of space and freedom that I haven’t glimpsed in a long time. Thank you for sharing more about this – and I love this direction. Janiece, thank you and I am so excited to see that you feel the connection. Space and freedom – isn’t that what we are all looking for? Yes, it demands mindful responsibility, but once you bring that into the framework – or shift into its framework – then the possibilities are endless. Lani, this comes at such a good time when all the dieting-mongering voices seem to be out in full force. I guess it goes with the holiday thing, grabbing peoples guilt. But you are so right, the attitude is huge in the long run and inside we know there’s a better way. Thanks for taking the lead and happy new year to you! You think? 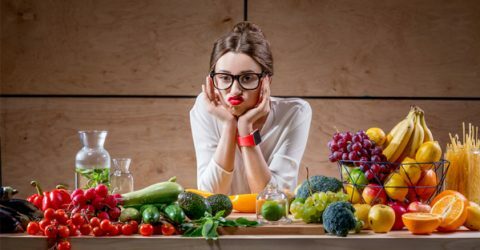 There does seem to be a whole lot of clamp down this time of year when it comes to dietary choices – and we forget what happened last year, and the year before that, and the year before that. I so appreciate you taking the time to share. Lani Muelrath, I loved your article, it’s like you reached into my soul and wrote it. I too need to breath, be present, make connections and enjoy nature. It’s the sum that equals health, happiness and longevity. I can’t tell you how much your message means to me, Nancy. I think people are ready for a new dimension in all of this – once we know the basics, well, staying the happy, kind, and peace promoting course is the next generation of veg. Muah!